Whether you are faced with decisions momentous or trivial, how you go about resolving everyday dilemmas will definitely affect your level of satisfaction in life. 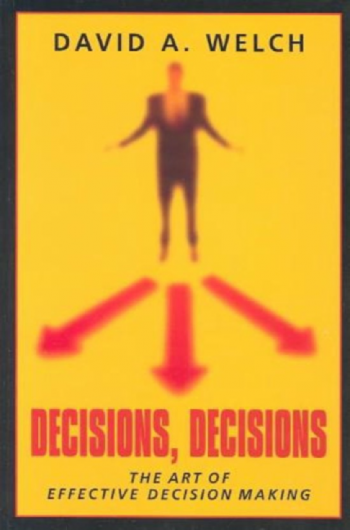 In this engrossing and entertaining guide, David Welch, who has studied the decision-making process at the highest levels, shows how both the science and the art of decision-making are essential to us all. Welch lays out nine steps to effective decision-making and then demonstrates how to apply these steps to real-world situations. He gives readers the intellectual tools to assess their strengths and weaknesses and stresses that self-knowledge is critical for making the right decisions. This enjoyable, clearly written guide will enable decision-makers at every level to find the best possible solution for dilemmas both big and small.